The Open Standard for Public Transport (OSPT) Alliance has released a set of guidelines for transport operators seeking to develop and deploy NFC mobile ticketing applications. The guidelines detail the requirements and use cases for developers wanting to implement the Cipurse v2 open security standard in an NFC device to enable transport operators to support mobile ticketing. “We have developed a new set of guidelines already based on Cipurse v2 which we released last October. We have now taken that specification which was mainly for cards and moved it to NFC enabled devices including smartphones and tablets,” OSPT chairman of mobile activities Jörg Suchy told NFC World. The guidelines set out what the transport organization needs to do, defines the role of the TSM, provides details on handling lost or stolen phones, details how to purchase tickets online for use on the mobile phone and how to purchase tickets directly using the phone. “The Cipurse mobile guidelines include all the security, flexibility and cost saving benefits of Cipurse v2 for organisations. The guidelines clearly explain the requirements for certification and we have also developed them to provide implementation guidelines for hosting the Cipurse application in embedded secure elements, SIM-UICC- or microSD-based secure elements,” Suchy adds. Transport operators are free to release their own branded mobile app for Android, iOS, Windows, BlackBerry or any other platform, that interacts with the Cipurse application stored in the phone’s secure element to conduct transit transactions, says the OSPT. “We can see that the number of transactions of contactless ticketing is growing and growing. In 2012, a lot of NFC phones were shipped so we now think it is the right time for operators’ to move their existing customer base to the future form, which is clearly NFC,” explains Suchy. 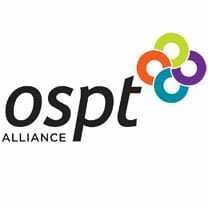 The mobile guidelines are now available to download from the OSPT Alliance’s website.